You recently toured India and performed repertoire from the last four centuries. How was the audience reaction to this? Angela Feola: It was a magical tour! India is a special country of great potential and music is an important part of its culture. Audiences in all of the cities we played in were interested and curious about our Italian programme. They listened to us with a particular silence that we rarely meet in European halls and theatres. Considering the standing ovation we received, we can be sure that they very much enjoyed our choice of varied repertoire! A special appreciation was attributed to our performance of the Trio by Nino Rota and the La Follia sonata by Arcangelo Corelli. Laura Riccardi: The audience members were very curious and enthusiastic about this “musical promenade” and it was very interesting for us to see how much they also appreciated the two pieces from the 20th century (Martinu and Rota trios). 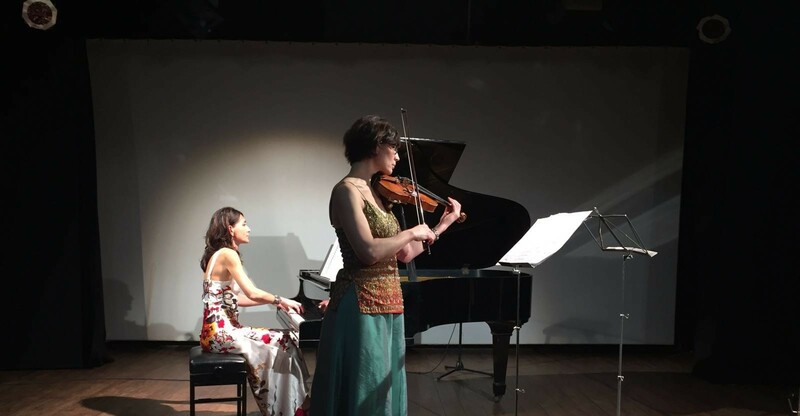 They thoroughly enjoyed the instrumental combination: classical duo and the unusual piano trio with flute. What are your thoughts on the current Western classical music scene in India? AF: Looking at the Western repertory in India, I think that there are many important halls, auditoriums and theatres where one can listen to this genre of music. India is increasingly looking outwards to all parts of the world and is becoming an incredibly fruitful land for Western classical music. AF: It is important to grow up in harmony with each other through an open dialogue. Music is a universal language that can bring people together. It is a very important element in education because it strengthens ones involvement in culture. It does not discriminate against age, nationality or religion. Music is for everyone. For physical and neurological development, not only for infants but also for adults. For social integration. An orchestra or a chamber group is similar to a society, as regular rehearsals help and teach individuals to stay together, listen, understand and offer mutual help to one another. As Shinichi Suzuki said, music education develops good feelings in children (who, by their nature, already love beautiful things) and through music, grow up to nurture beautiful feelings, and in so doing become good adults who will help build a just and compassionate society. Your advice for aspiring musicians in India? AF: Study, study, study! Watch and listen to musical performances from around the world as India is still a young country with regards to the development of Western classical music. Listen to historic performances, meet great musicians during masterclasses, play a lot of chamber music and believe in music even though it might not immediately give you success and fortune. LR: I think it is very important for the Government of India to consider supporting music education with good schools and teachers. Students must be given the opportunity to travel abroad and conduct research in order to develop their repertoire. On their return, these students would then share this knowledge with their compatriots.